The fight with the genetically engineered aliens seemed impossible. Benny and Gina, both Seeders, stood on the bridge of their massive mother ship knowing they needed miracles to win. They both knew that if they worked long enough and hard enough, miracles might happen. Centuries worth of work. 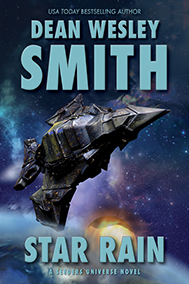 A massive scale Seeders Universe story that started in the novel Star Mist in the last Smith’s Monthly issue.